Shahrahzad can be booked for private instruction. 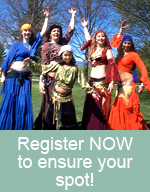 This class is for those who have never taken a belly dance class before and for those who wish to ensure that they are familiar with basics of technique as taught by Shahrahzad. This class can be repeated until the dancer is ready to move up a level. 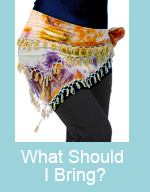 This class will continue the basics of belly dance - from shimmies to undulations as well as body awareness, musicality, strength and choreography, usually 1 - 2 years experience. This class will explore the more advanced concepts of body awareness and expression, deepen core strength and learn advanced choreographies, music and stage presentation - usually 3 or more years experience. This is our summer class for all levels. Basics are explored and fun drills and mini choreographies are worked on!